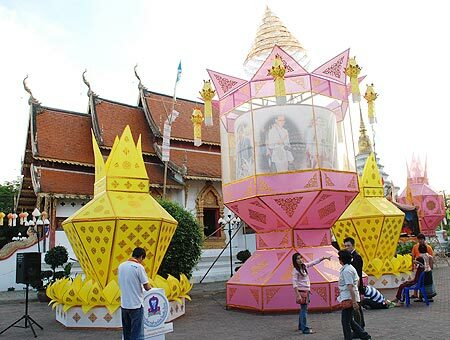 The world’s largest Khom Luang Lanna lantern is displayed at the event in honor of HM King Bhumibol Adulyadej’s 82nd birthday which took place between December 1 and 5 at the 80th Anniversary Commemoration Public Park. 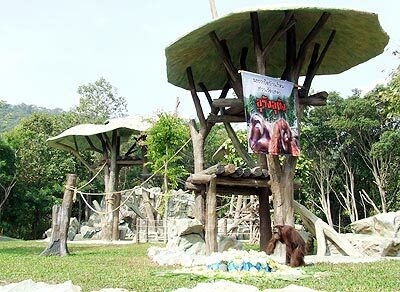 Orangutans at the Chiang Mai zoo can now enjoy their newly refurbished and orangutan friendly enclosure. The enclosure has been expanded to suit orangutan’s need for space. Tanapat Pongpamorn, the President of Chiang Mai Zoo, presided over the opening of the zoo’s newly restored orangutan display zone on December 10. 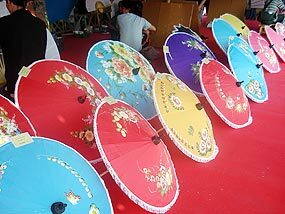 The Bo Sang Umbrella and Handicraft Festival, held on the 3rd Friday of January every year, is scheduled to run from the 15th to the 19th of January in 2010. 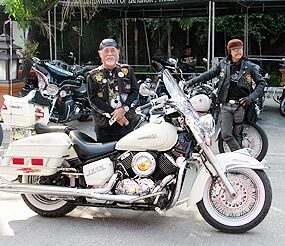 87 riders and a total of 118 people participated in the annual Chiang Mai Bike Week 2009 that took place on Sunday December 7. 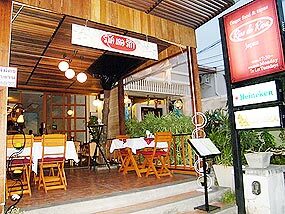 When one of the best chefs in Chiang Mai (Marco of Chez Marco) recommended Rico de Rica to me I knew that, at the very least, it would be worth a visit. That is something of an understatement. This small and stylish eating place is worth marking off as a regular dining out venue. It is basically Japanese but with an intriguing dash of Spanish ‘fusion’ in the menu: an unusual combination.